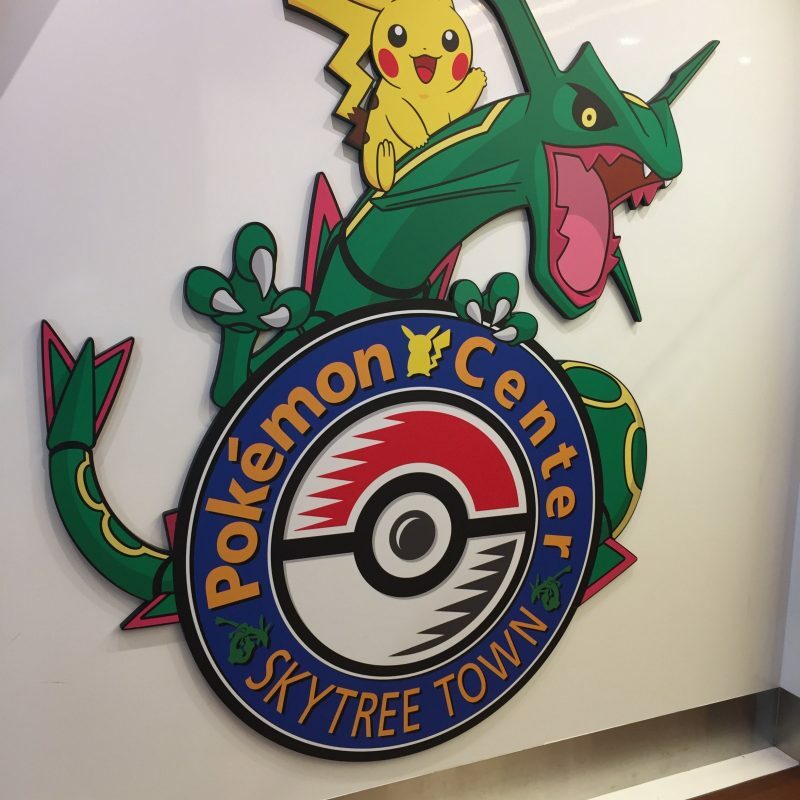 When I went to a Sky Tree with an American friend, the most exciting thing is actually the Pokemon Center Sky Tree Town. Access is on the 5th floor of Solomachi. 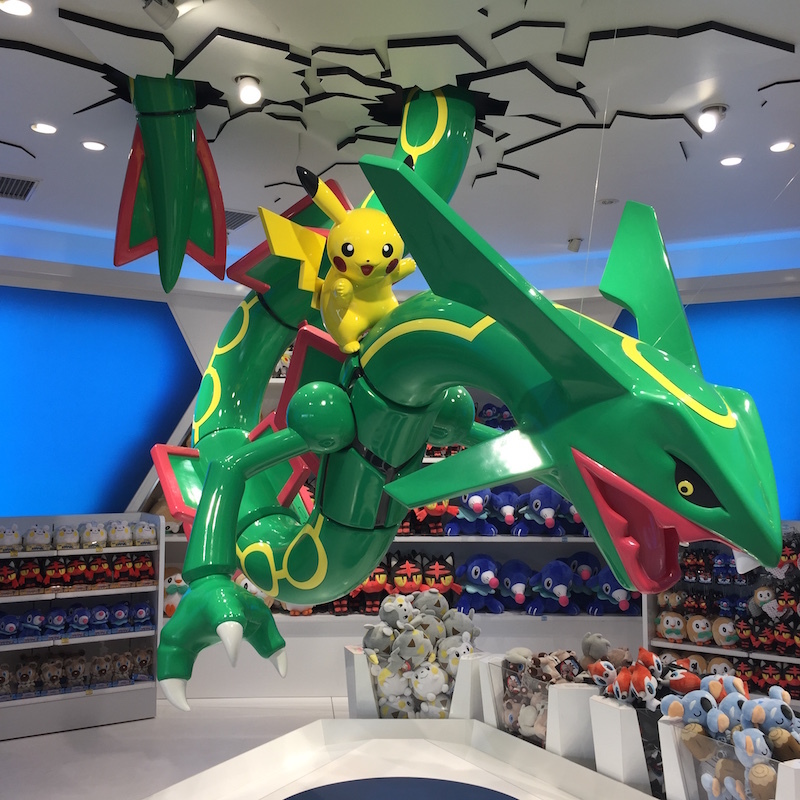 As the restaurant on the 6 th floor of Solomachi was open at 10:30, it was about to collapse time on the 5 th floor, at the moment when the escalator got down and saw the Pokemon Center Sky Tree Town, the two Americans’ eyes The color changed. It is said that they love children. Pikachu and a huge object of Pokemon whose name is unknown. This is what it’s like inside the store. 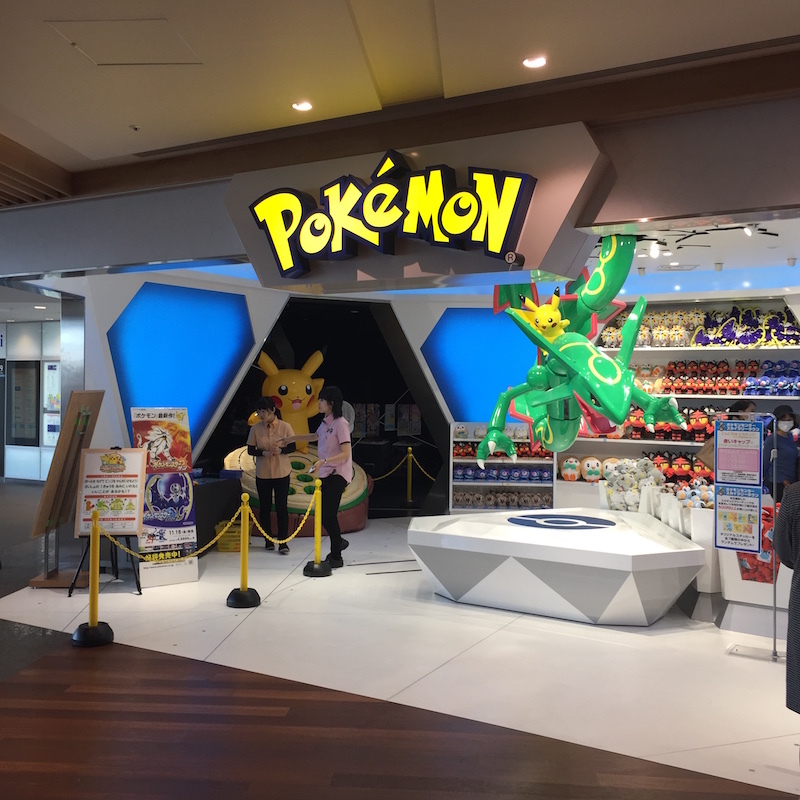 Is it slightly smaller than other Pokemon centers? There is also a game corner. 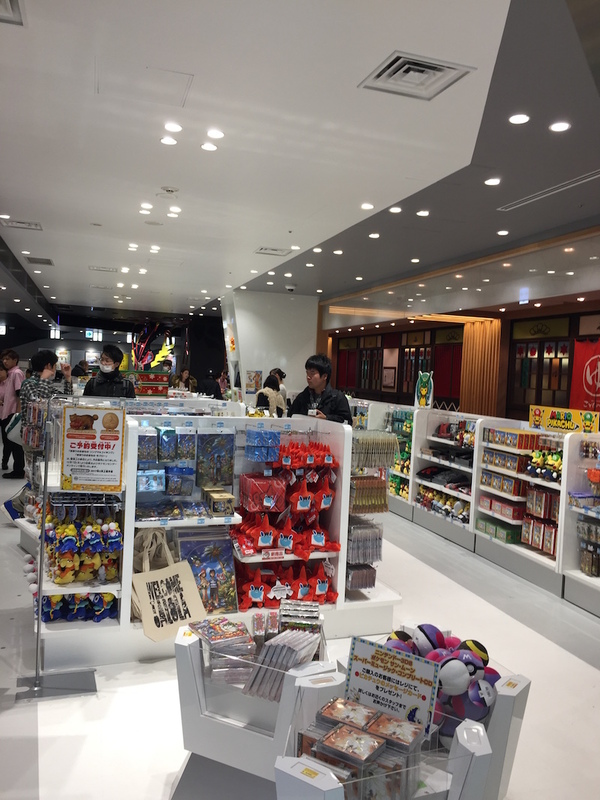 There was also a free gift corner for birthday people. Lots of stuffed animals. One about 1600 yen. 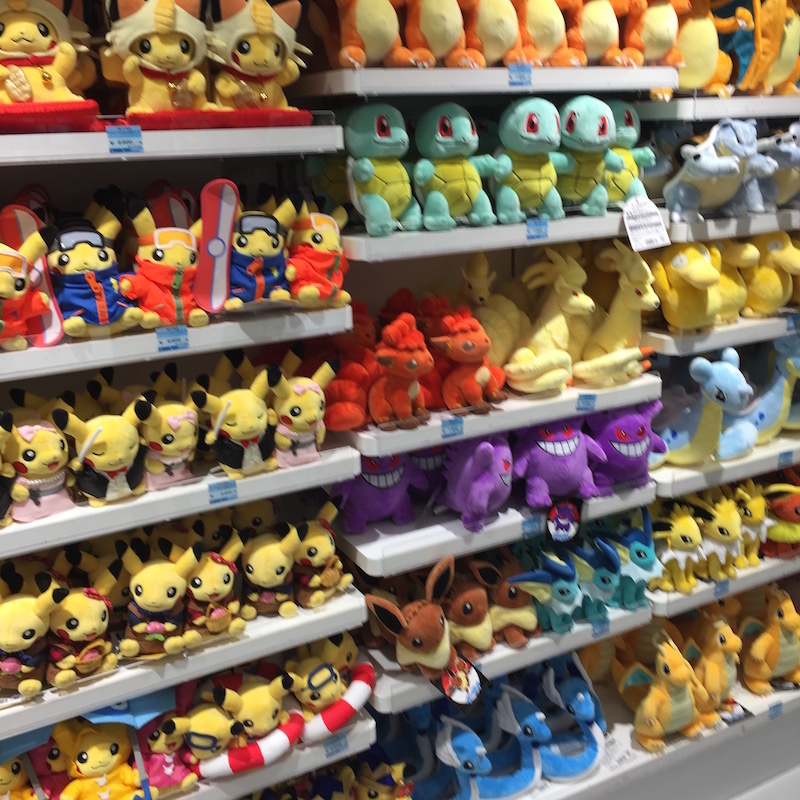 An American friend was calling a family in California, looking for children’s favorite Pokemon stuffed animals. 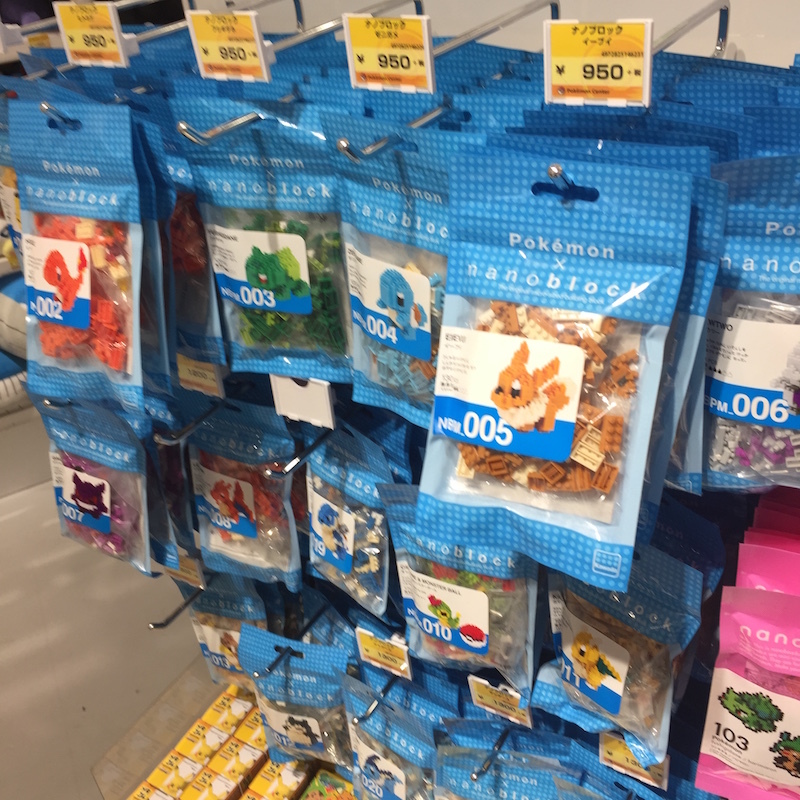 There are also nanoblocks of Pokemon. This seems to be useful for children’s education. 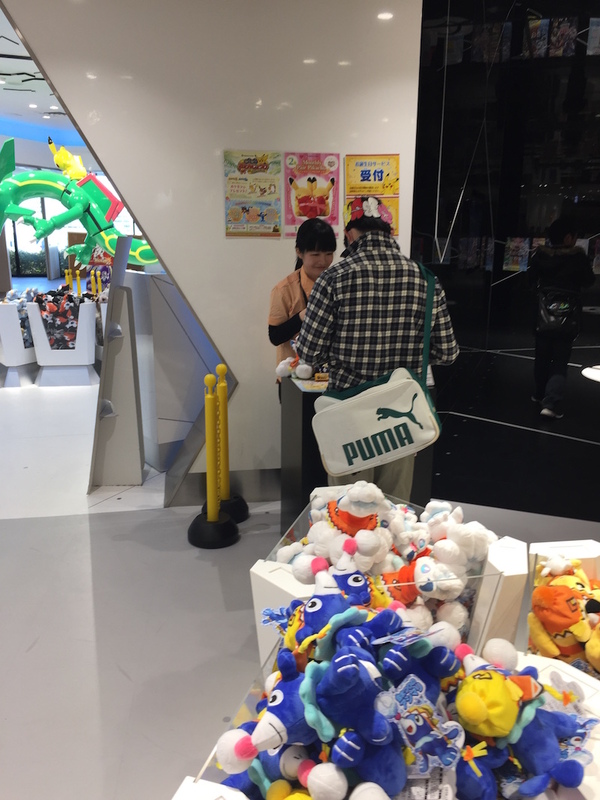 It is a huge object before the cash register. This is a sky tree only. 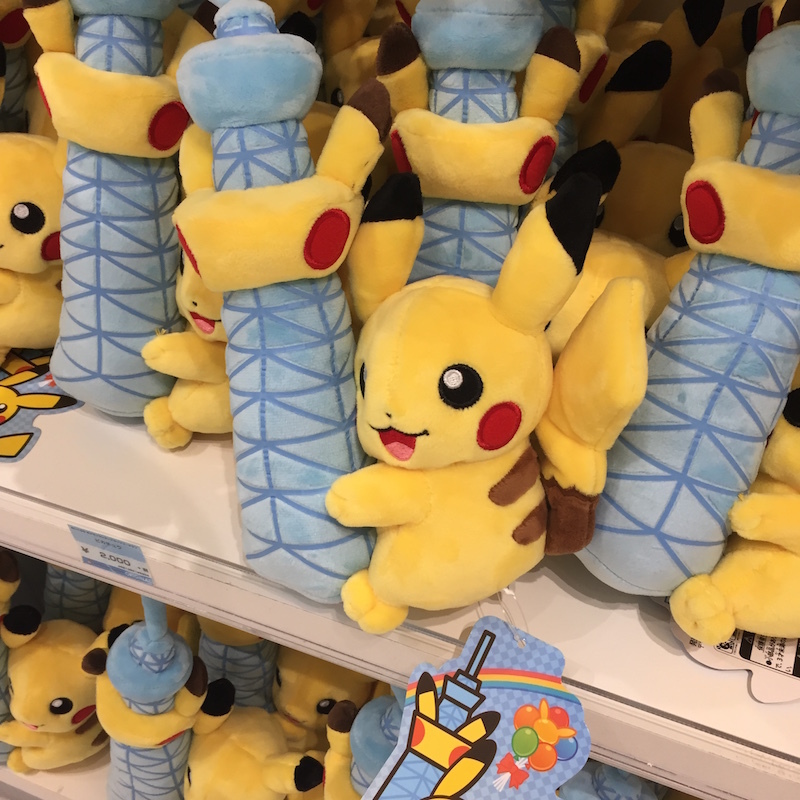 Pikachu and the sky tree’s stuffed animal. Price 2,000 yen. 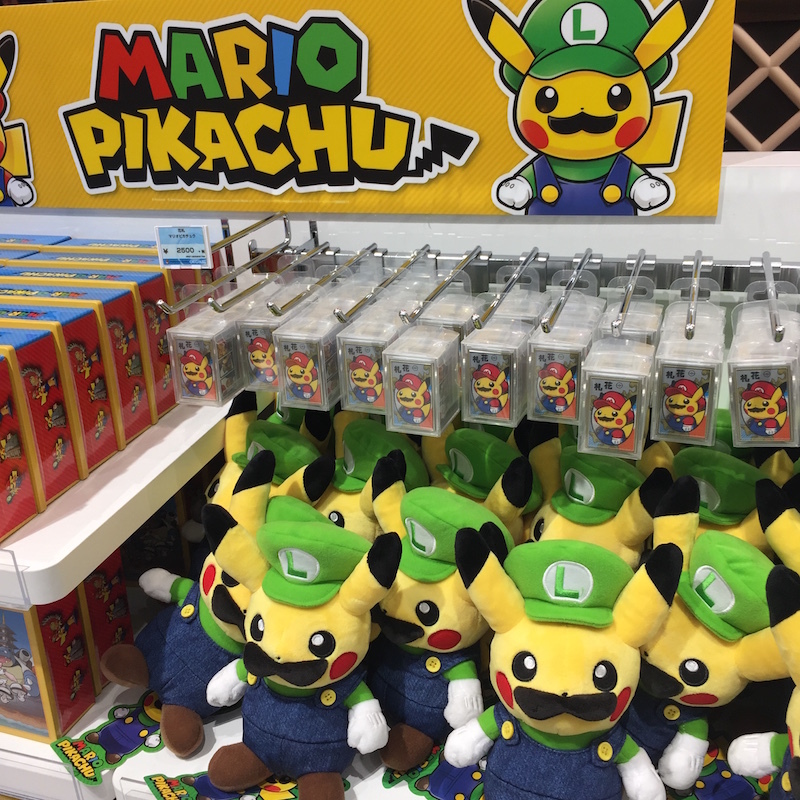 This is the Mario Collaboration goods. Incidentally, one of the Americans who went with him, he also had Pokemon GO and he already got over 140 bodies out of 158 Pokemon and trainer level was 35. 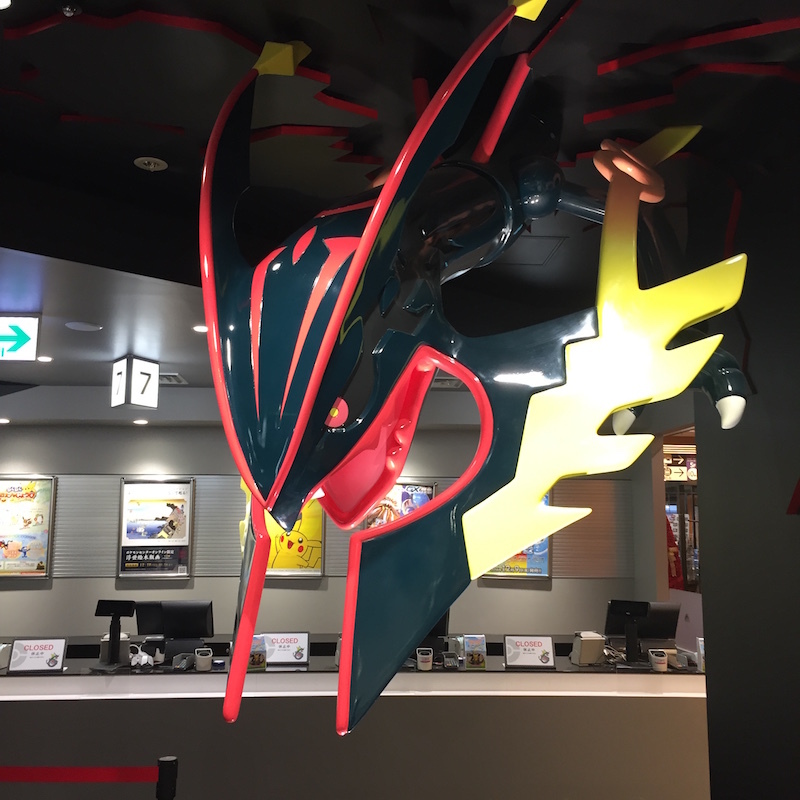 Pokemon which can only be taken in Japan was caught on this business trip, and I was happy. 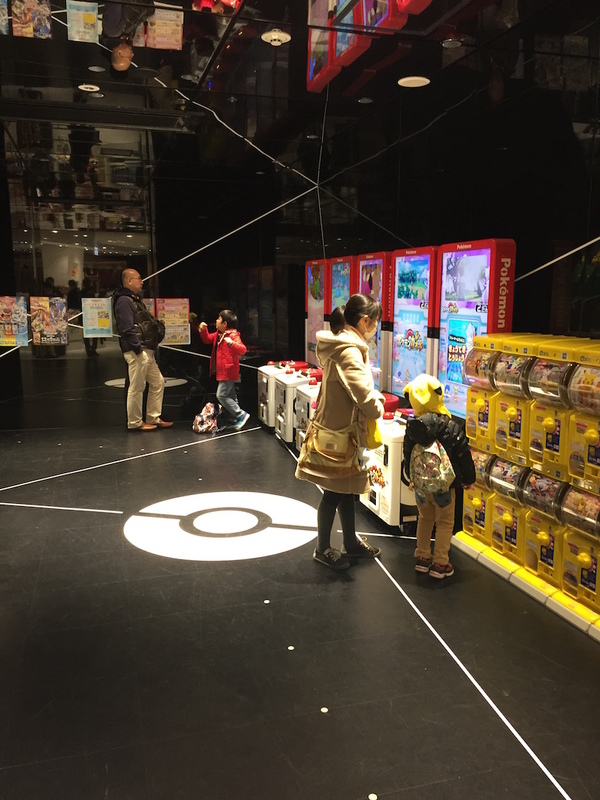 It means that you are addicted to Pokemon as well as your child.